Research has shown that the teacher is the most important factor in the classroom! If you would like an evaluation copy, please click here. 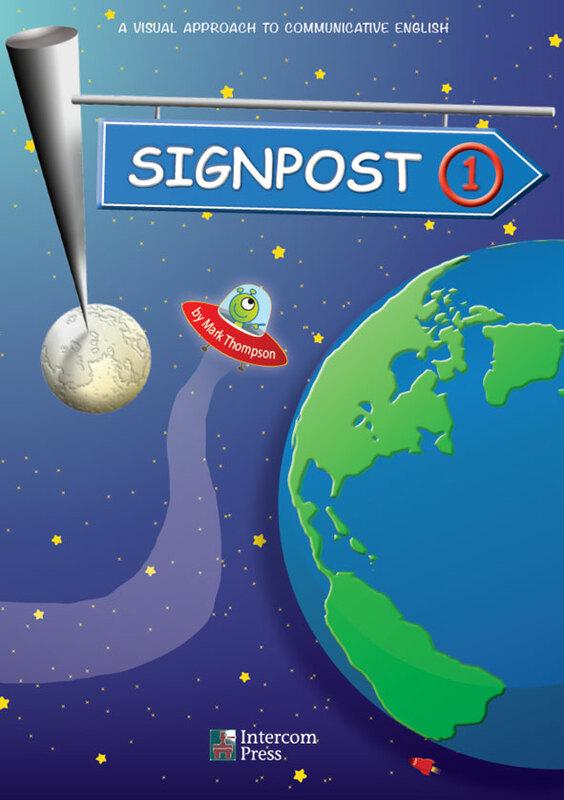 Signpost is a unique visual approach to communicative English for junior high school students. It is designed to complement the material in the required English texts while decreasing the students’ dependency on the written word. Graphic representation of the language and intensive aural guidance develops cognitive abilities to use English. Initial language introduction replicates the natural way in which the students’ first language is acquired. Non-verbal responses to English remove the initial fear created when producing language too early in the learning stage. Language is introduced as lexical items or language chunks, with emphasis placed on pronunciation and understanding. Communicative student-to-student and student-to-teacher activities keep interest and motivation high. Comprehensive Teacher’s Guide includes introductions, explanations, step-by-step instructions, supplemental activities and extension ideas. FREE downloadable handwriting practice guide for you to print off for your students.